The term e-Commerce is often used to describe a business that is conducted over the internet using technologies such as online transaction, inventory management system, electronic data interchange and online shopping carts. Any type of transaction that is completed through the internet between a business and a customer or between two business can be considered as an e-Commerce. Do you have an e-Commerce website? Do you want to increase sales? Prometteur is the best e-Commerce marketing company in India which will help you to increase your sales. We believe in relationships - between your e-Commerce brands and customers, between you and us. As we know that, quality is required to pick up business prospects. Similarly, e-Commerce marketing is also essential to make online store visible to all sources. So, we ensure to create an online presence for your ecommerce store to the promotion of your products. We keep ourselves involved in the entire process just to identify more opportunities that help you bring more results for your services. 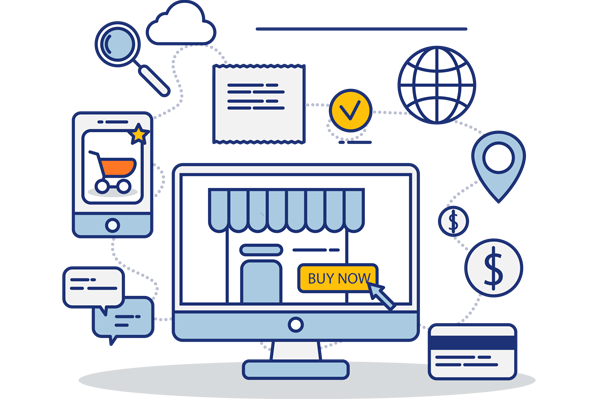 SEO for an e-commerce website is done by a dedicated team at Prometteur – One of the best SEO service provider in India. Our approach for your site is customized as per your need and help you increase presence in the target market by using our effective SEO services. We create customized copy and landing pages designed to guide our potential consumers through the conversion process. We have experts for multiple platforms including Adwords, Bing, AdRoll, Facebook, Twitter, and many more. Our goal is to make you a success through our powerful e-Commerce marketing strategy. Our social media marketing team will leverage the social platform to build brand awareness and conversion for your business by using organic and paid campaigns. Our services include profile optimization, paid campaign management, retargeting, A/B testing, ad design, content strategy and many more. e-Commerce email marketing is a great way that can help to get leads and turn them into a conversion. Our email marketing team is highly proficient with platforms including HubSpot, and MailChimp. We monitor the results of each campaign in order to keep on improving and get the desired conversions. Let’s get started to your project.